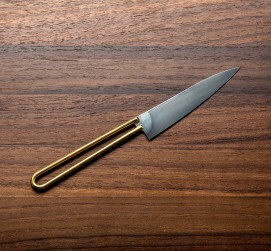 Carbon steel and brass come together in this unique and elegant paring knife. 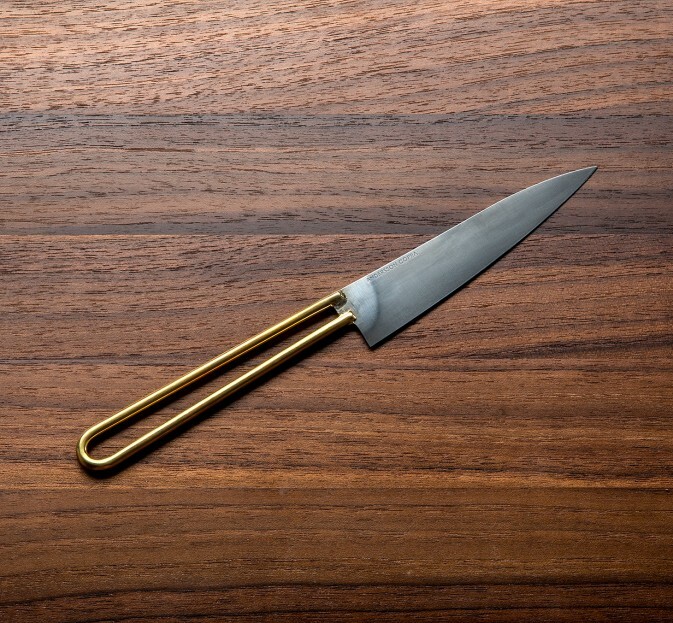 The brass handle, joined to the patinated carbon blade with a hard silver solder, is modeled after a type of handle used long ago in simple utility knives. 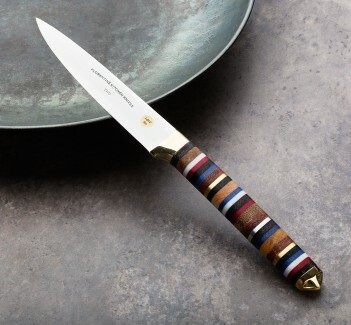 In an elegant version of the classic, this is an all-around great paring knife with a hard cutting edge.  The Uddeholm UHB-20C blade has a slightly convex grind that tapers towards the tip, is super sharp, and is individually hardened to about 62 HRC. 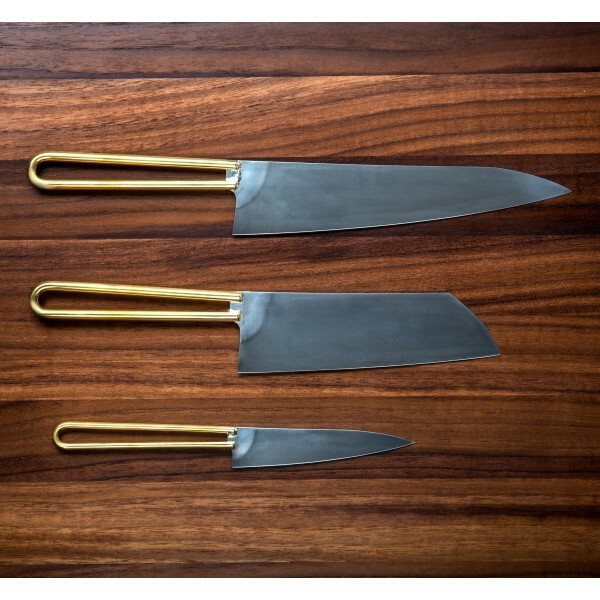 Andersson Copra’s Loop Paring, Loop Chef, and Loop Santoku make a beautiful and unique handmade knife set. 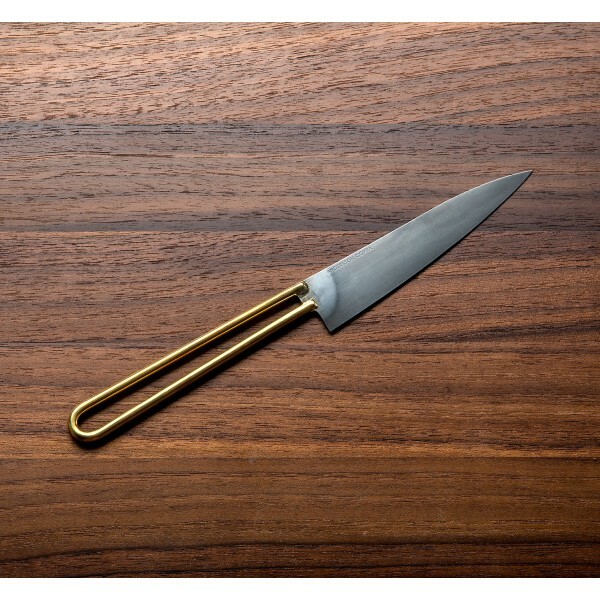 Adisa Copra and Joel Andersson’s Loop design is a great example of the ingenuity and creativity that goes into each Andersson Copra kitchen knife. 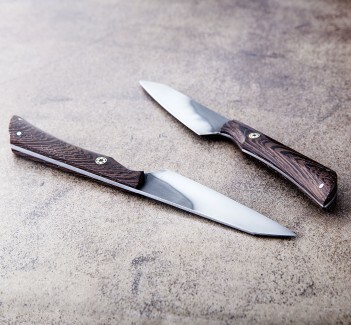 Handmade in their Gothenburg, Sweden, studio and presented in Tokyo during the 2016 Design Week, Adisa and Joel’s knives are as beautiful as they are functional. After fine-tuning a design and approach to knife making, the result is a few light and sharp models that make cooking easy and fun.